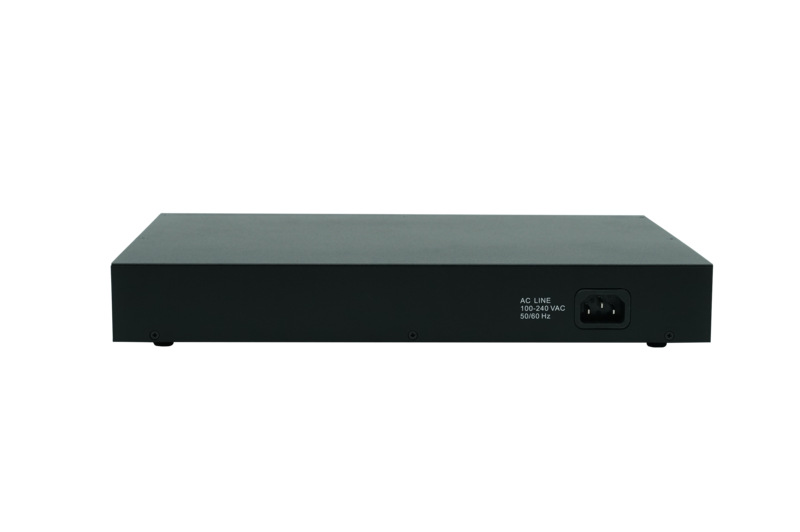 VigorSwitch P2121 is a layer 2 managed switch at a compact size, designed just for the small business network which has various devices. 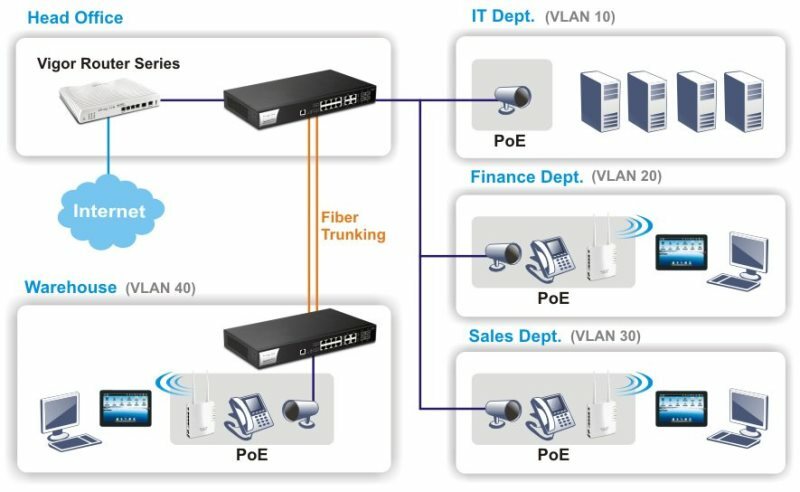 Its 802.3at/af-capable ports deliver power and network connectivity to up to 8 wireless AP, IP phones, and IP surveillance, reduce the need for power cable and adapters, and helps to lower the cost of installation. 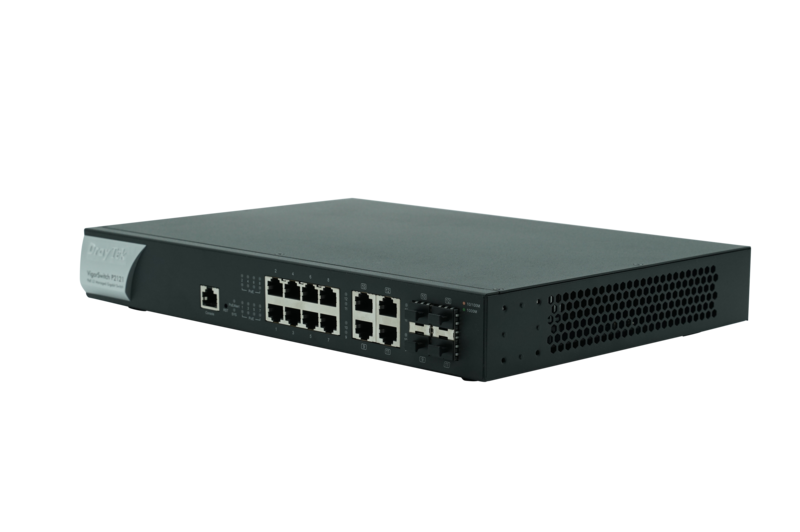 VigorSwitch P2121 provides L2-managed features for VLAN, port security, multicast, and management. VigorSwitch P2121 can have VLAN based on 802.1q tags, protocols, and MAC addresses. It also provides Voice VLAN and Surveillance VLAN to identify the traffic from an IP phone or an IP camera automatically, without the need of specifying each of their MAC address. And it is capable of GVRP. VigorSwitch P2121 offers security features to prevent the local network being overloaded by superfluous traffic, including Storm Control and DoS Attack Prevention. And it helps to avoid IP conflicts on the network by including IP Source Guard, ARP inspection, DHCP Snooping. You can also add Access Control List to filter MAC, VLAN ID, IP, and protocols. 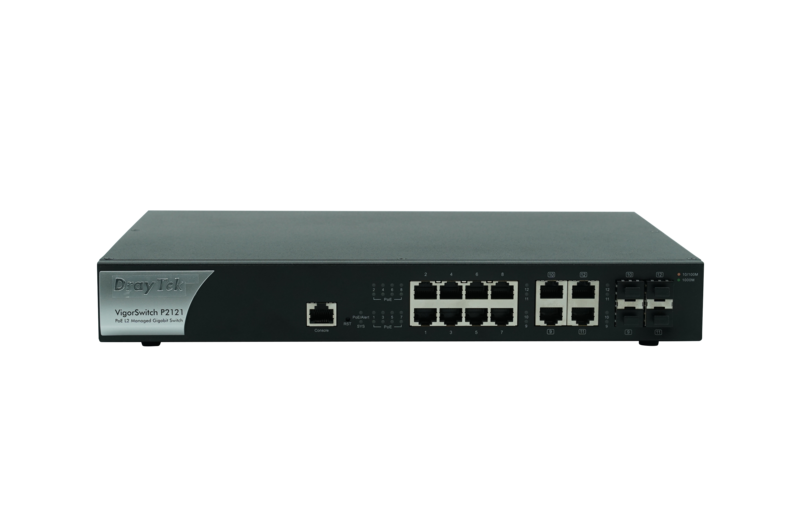 To prioritize the critical traffic, VigorSwitch P2121 supports traffic classifying by 802.1p CoS, DSCP, and IP Precedence. 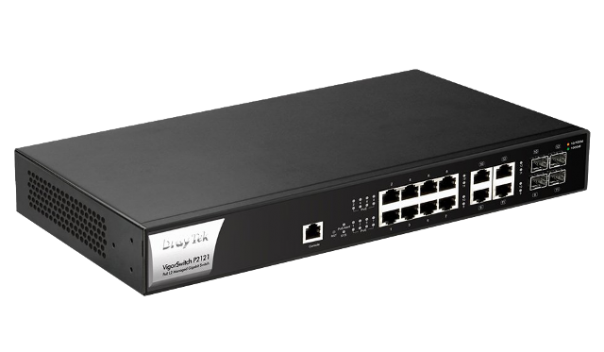 VigorSwitch P2121 is especially ideal for a network which is going to deploy IP cameras and IP phones, with Auto Voice VLAN and Auto Surveillance VLAN feature, call and video traffic can be identified automatically and be assigned the desired class easily. There are 4 Gigabit Ethernet/SFP combo ports on VigorSwitch P2121 for the uplink, and it supports link aggregation by both static configuration and LACP (Link Aggregation Control Protocol), providing the network with higher throughput and link redundancy. For monitoring, VigorSwtich P2121 provides SNMP v1, v2c, and v3, RMON Group 1,2, 3, and 9. It supports dual-image and can get configuration and firmware upgrade by HTTP, HTTPS, and TFTP. The Authentication of management service can be associated with external RADIUS or TACACS+ servers. VigorSwitch P2121 is compliant with Central Management feature of Vigor Router, which means it can be managed through the Vigor Router’s management page, this allows the network administrator to configure, monitor, and maintain all the switches on the network easily from one single portal.